Visit requests during working hours can be submitted to Eurocorps via the online application form. As soon as we have checked the availability of a briefing room and a briefer we will confirm the date of the visit by e-mail. Please be aware that only this confirmation can be accounted as a binding acceptance of your visit at HQ Eurocorps. In general all applications should have reached us not later than four weeks prior to your intended visit. Don’t forget to fill in the participants list! After having received the confirmation e-mail, you should complete the list of participants. It should be type written and returned to Eurocorps at least two weeks before the date of your visit. You can do this via the participant’s list form, mail or facsimile. It is paramount that each visitor brings his/her passport or identity card with him/her for the Eurocorps visit. 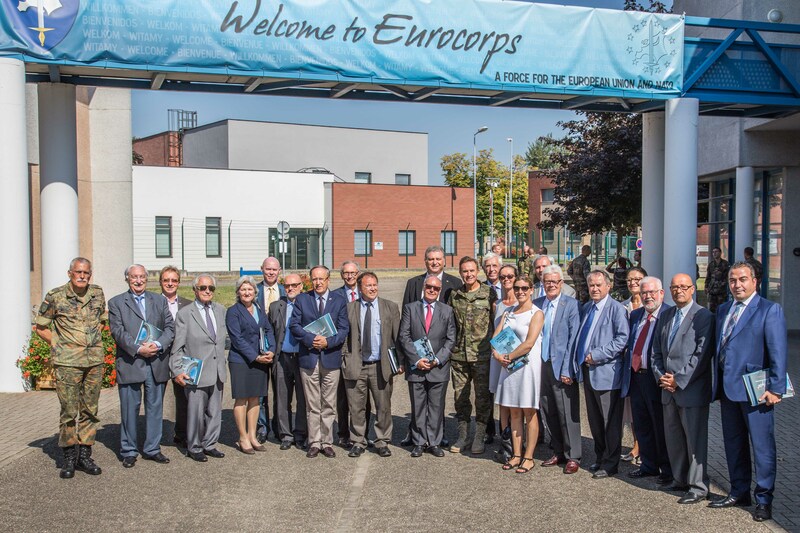 Incomplete data on the participants list or failure to bring passports/ identity cards along for the visit can cause disruptions in gaining access to Eurocorps.